A gracious lobby with a fountain and fireplace welcomes you warmly to this 214-room facility, with all the amenities you expect to satisfy your travel needs. 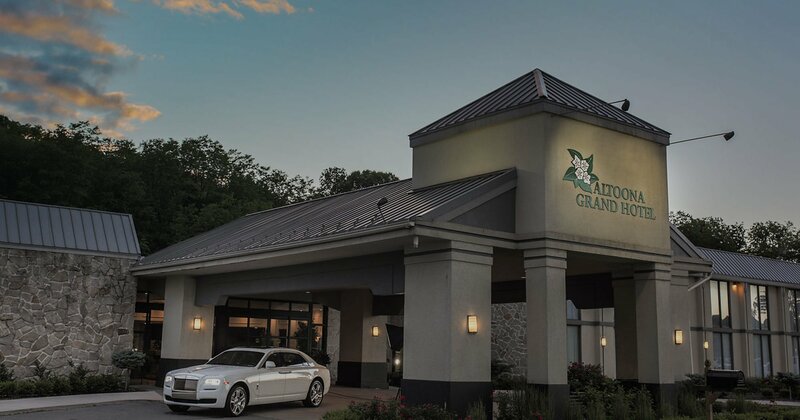 The Altoona Grand Hotel has been under new ownership since 2013 and new management since August 2016. 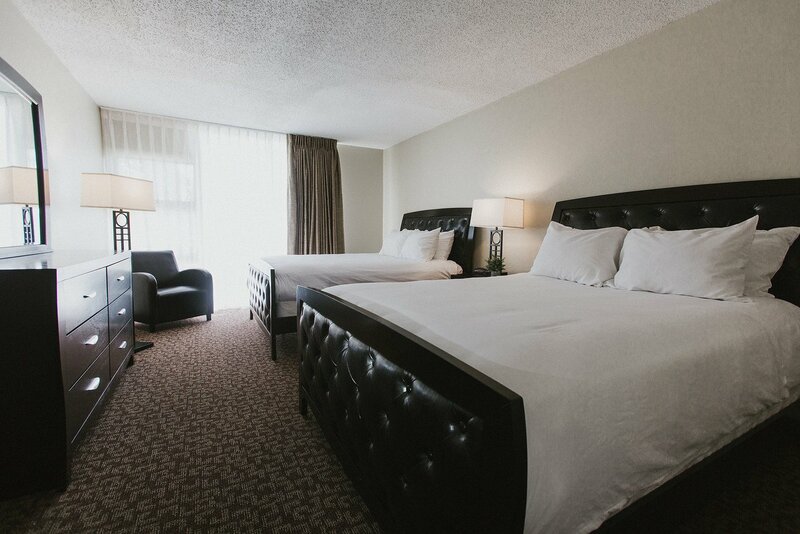 Whether you are visiting the Altoona, Pennsylvania area for vacation, business travel, or a long-term stay, we have the perfect room to accommodate you. Choose from any number of accommodations including our standard rooms or one of our luxurious suites, with beds in all shapes and sizes. Our rooms are newly renovated, featuring their own style. As a valued customer you will enjoy a fast and easy check-in/check-out process. Our front desk agents are here to accommodate your every request. We can offer you a substantial variety of rooms to fit your needs. 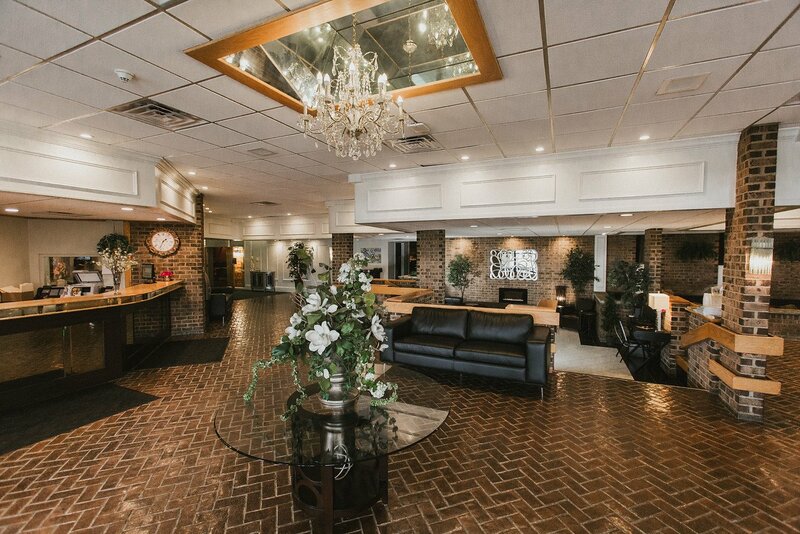 While staying with us you will enjoy, Free Wifi, 24 hour Fitness Center, and Blair county’s largest indoor swimming pool. While staying with us you can take advantage of our 2 dining areas, and a lounge that is available for intimate meals or large get togethers. As a full service hotel we can offer you a large variety of catered menus, ranging from breakfast to plated dinners. With our immense banquet space we can accommodate any event big or small. Our well trained professional staff will accommodate your guests, making them feel at home. Let us take care of your next family reunion, Shower, or Corporate meeting. Came across this hotel when travelling back to Canada from Virginia. Winter storm Stella created havoc on the interstate so we checked into this property. We were very impressed by the staff at the front counter and restaurant. The property is well kept. We enjoyed the quality of the beds in our room. The indoor pool and hot tub were very large and also included a separate kids pool. We also enjoyed the free breakfast in the hotels restaurant. I would not hesitate to stay here again. Well worth the very reasonable price! Our Room was nice and clean, the beds was comfy. The Pool and Hot Tub was very nice!! This was closed down for sometime but the new owners are really putting some working into remodeling the place it is looking great!! Our Room was across from the pool which made it nice for the kids! !